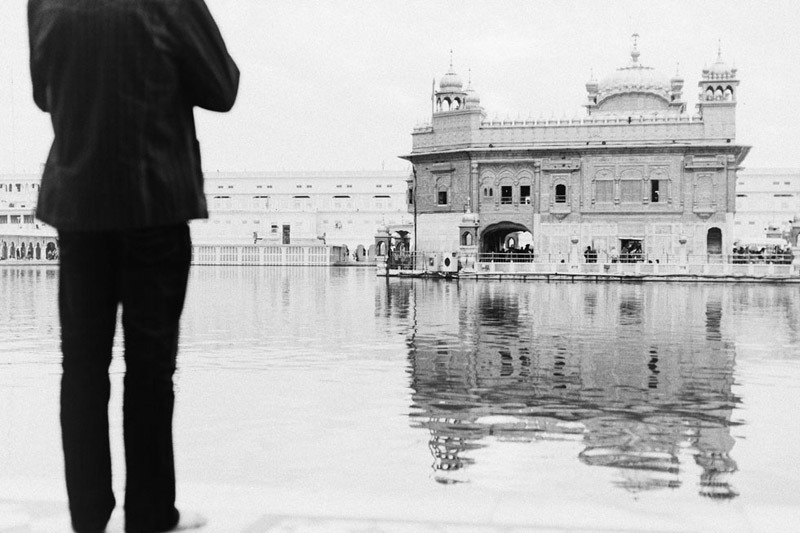 The humility and the warmth of the Punjab state in India—I found it right here in Amritsar. 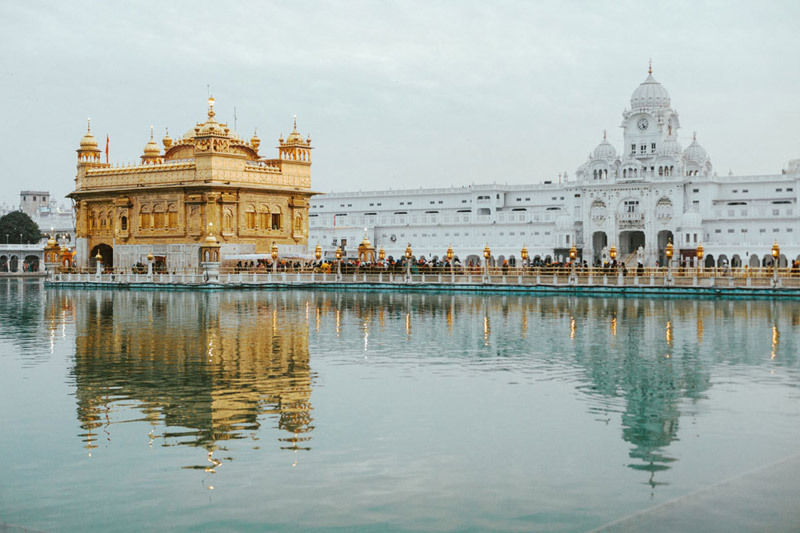 I wanted my adventures in travel photography, particularly here, to be about documenting beauty and real life and the Golden Temple exemplified both. Today’s train ride to Amritsar was going to be a little different than previously documented trips. We missed our advanced booking by a week and got our tickets only 3 days prior. Typically the tickets are sold out by this time so we were left with no choice but to have two confirmed seats on public transport. These were not overnighters, so we were prepared to watch over our stuff even more cautiously now. At the terminal it was just another gong show as people crowded the waiting area and some even jumped onto the train before it came to a complete stop. If you were left without reserved seating, it was pretty much a free-for-all. Although the public seats provided us with a place to sit, we would have had to sit hip-to-hip in discomfort for 8 hours. Let’s just say I jumped to conclusions a little too quickly by concluding the worst about public transport before giving it a chance. But let me also say: this was, by far, my favourite train ride. The AC Carts are nice and all seats and beds are reserved. 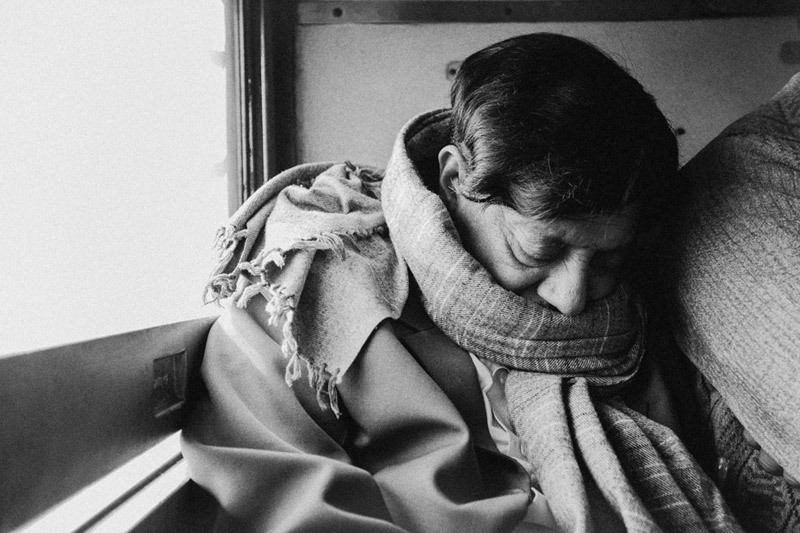 It’s the safest, cheapest, most civilized and comfortable way to travel around India. 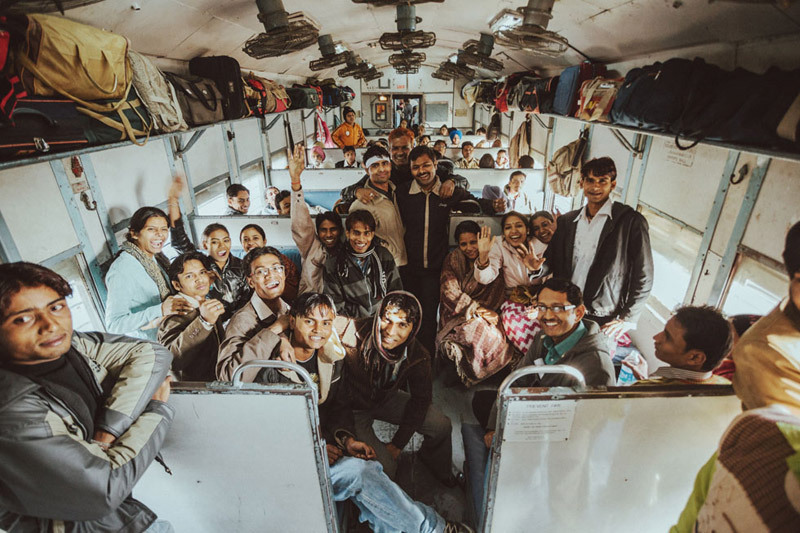 The unreserved public seaters accommodate everyone with wooden or padded plastic seats which are not recommended for long distance journeys, but quite acceptable for daytime travel of up to a few hours. I’ll admit it was a bit awkward bumping elbows with passengers constantly and having almost everyone look at you, but it’s part of the culture shock. 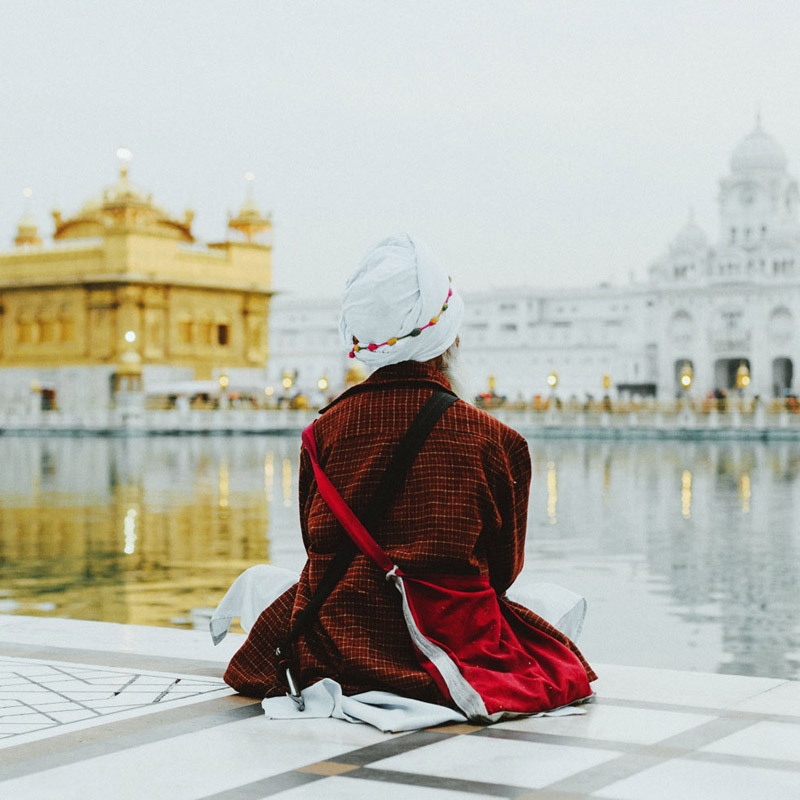 With an open mind and a big smile, you can change curiosity into an open invitation *bobbles head* Once the communication barriers come tumbling down, you quickly feel the warmth from the Sikh people. 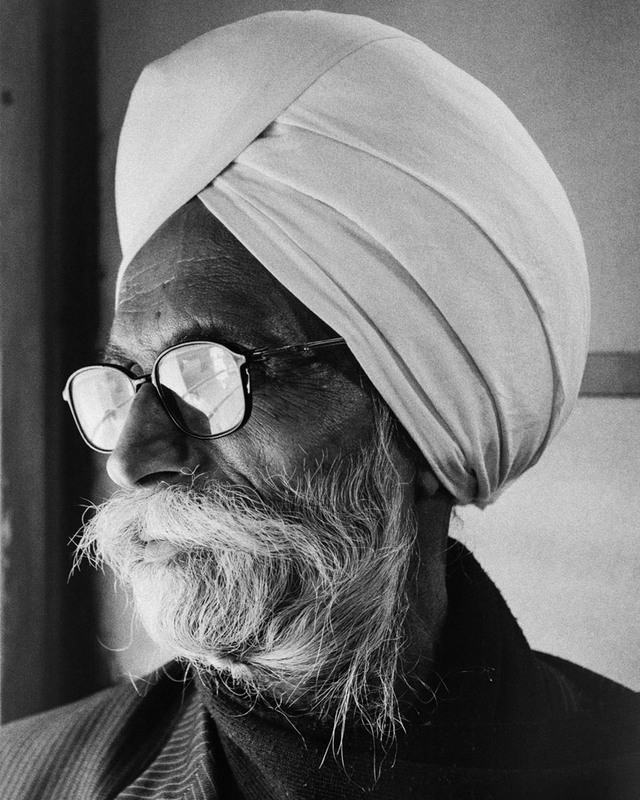 Just across from me sat a Sikh man with some pronounced features; he was also wearing a striking turban, glasses, turtleneck sweater, striped blazer, and dress shoes. Before taking a photo, I made sure to strike up a conversation and learn a little about who this wise, soft spoken individual was. Eight hours was a long time to spend on a train so I decided to walk around to stretch my legs. This was not a typical train ride in North America where everyone tends to quietly mind their own business. What chaos! 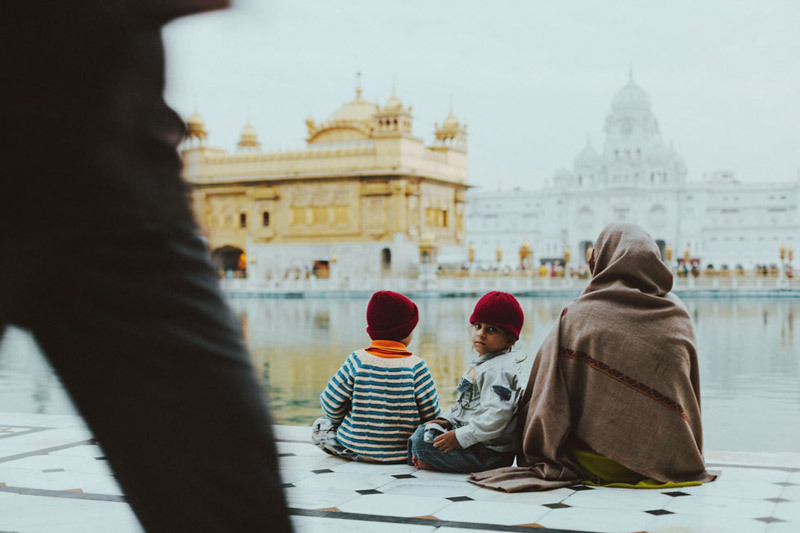 At the Amritsar station, Mel and I expected to be greeted by a crowd of persistent and hungry taxi drivers the second we walked out of the terminal. Prior to engaging any drivers to determine a price, we remembered to do our homework in terms of what it should cost to be driven to the temple; our immediate departure to Dharamshala was set. 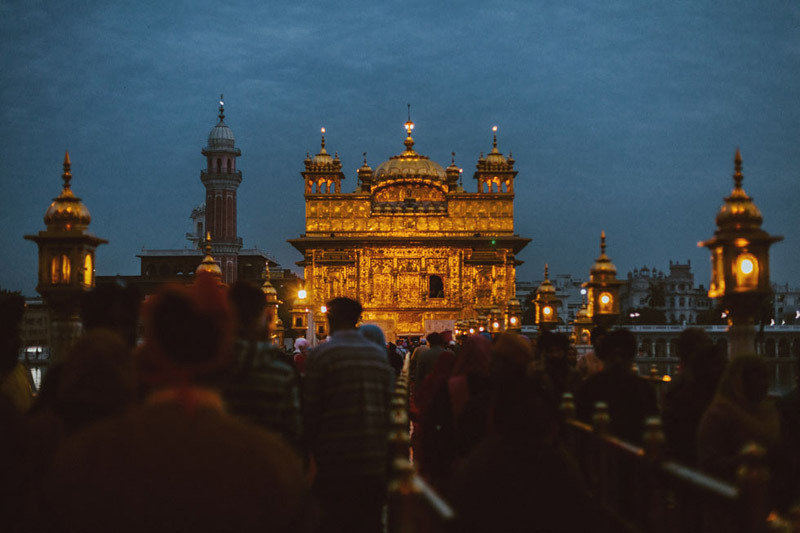 A bit of back-story about our journey to Amritsar and its Golden Temple: I didn’t have it on the final itinerary until just a few days before departing for India. I noticed that many popular guides didn’t include the city or the Golden Temple. I forgot how this opportunity presented itself, but I’m glad we were there. The experience I took home with me could never be summed up in any book. The grounds themselves were magnificent. Floors polished with milk, soft red carpet lining the bridge, and crystal clear waters that looked as if they flowed down from the Himalayas themselves. As for the temple’s interior, intricate patterned textures line every millimeter of wall and ceiling space; nothing was left unpolished. Food worked as an offering or a donation. One could pick up an offering before the bridge’s entrance and share half, or a full amount, at the temple. Finding space to sit and eat was more difficult than seeking out a parking spot in downtown Vancouver on a weekend. Once found though we sat and enjoyed our sweets, admired the architecture, and shared a few chats with others sitting around us. It was time to head to Dharamshala. The rest of our night was spent cramped in a small car enduring the bumpy roads and winding hillsides of the Himalayas. The few rest stops along the way made it more bearable as it allowed us to stretch our legs and grab some snacks but it never felt like we were getting closer. The only thing hinting at our arrival was the steady decline in temperature as we got higher up into the ranges. I had my doubts at first about making it there at a good time because the drivers seemed overly friendly, but throughout the entire journey we were treated with the utmost care and attention. And we arrived safely. I can truly say after just spending a few hours in Punjab, I found the people remarkably helpful and warm.